Information for UW Law students about the services we offer. Email Research Services at lawref@uw.edu (**note that this email address is only for UW Law faculty, staff, and students). Make an appointment with a Research Services librarian (see below). Drop by the Reference Office whenever it's open. No Appointment necessary! Information about our services for UW Law Students is also here. You are welcome to seek help from the Research Services department about any aspect of legal research. 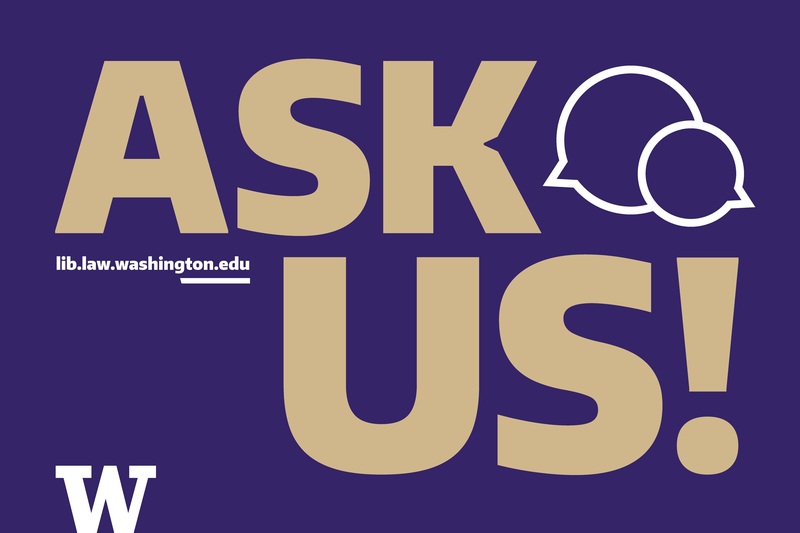 If you would like to make an appointment to meet with a Research Services Librarian one-on-one or with a group, contact us at lawref@uw.edu, saying what you'd like help with and suggesting possible times. Feel free to request a particular librarian and we'll do our best to accommodate you. If you get stuck working on a complicated research project or just need some advice about where to start, contact us at lawref@uw.edu or visit us in the Reference Office. We're always happy to provide guidance at any stage in the research and writing process. Need help finding a study aid or exams from previous years? The Library provides these and many other resources to help you succeed during your law school career. In addition, remember that you can ask Research Services for help anytime you have a research-related question. As a UW Law student you have access to many specialized databases from our library. For access to restricted databases for UW Law Students see Westlaw, etc. Access. If you would like training on any of the databases we offer, contact us at lawref@uw.edu or stop by the Reference Office.